When cold weather comes a-knockin' our Fleece Hoodie is for rockin'. 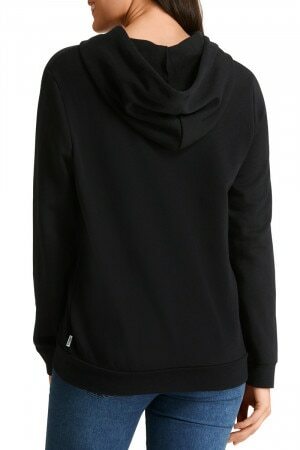 With a super soft fleece interior and cosy hood, you'll be happy to have your mitts in this on a chilly winter day. Fleece Hoodie is rated 2.9 out of 5 by 7. Rated 1 out of 5 by jegr from Bad fit and design. I returned a XL hoodie as it felt like I was being strangled around the neck, the arms were short in length and the bottom hem felt tight and restrictive. All round strange and uncomfortable fit. Would not recommend. Rated 1 out of 5 by Em1427 from Not worth it Had this for a week, wore once and the fabric is already pilling, no pockets which is weird for a hoody. Cheap make, bonds please go back to your proper quality. Only positive is that it’s warm. Rated 1 out of 5 by Harris07 from Wouldn’t recommend! Not a very comfy jumper. Regret buying it online. I buy kids clothes from bonds online. But will never buy myself any again. And having young kids means I’m to lazy to go try them on! Haha so bonds clothes for adults is out for me. Not true to its size either! Rated 4 out of 5 by Danica4 from Love the material, would be even better if it was just a tiny bit longer in the body. It’s been our go to warm jacket since we received it!